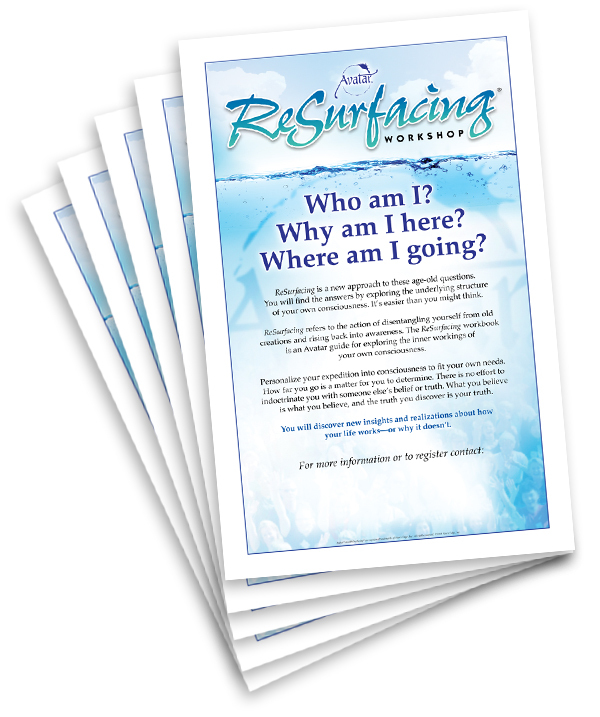 Use these posters to advertise your next ReSurfacing Workshop. These colorful posters have a large space at the bottom for Avatar Masters to personalize with their event dates and contact information. Size: each poster is 11"x17"